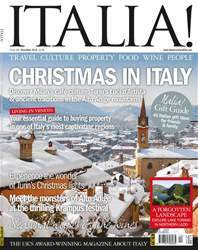 If your idea of a typical Italian Christmas involves getting dressed up as Babbo Natale for the fun of the little ones in the family, a visit to South Tyrol in December might come as something of a culture shock. The postcard-pretty Alpine town of Castelrotto – aka Kastelruth in German, as everything is strictly bilingual at this latitude – has just turned into a mini winter wonderland when I arrive there on a rather cold early December day. Visitors are welcomed by the endless temptations of objects and souvenirs sold in the little wooden chalets of the Christmas market, while the spirit is lifted with gingerbread biscuits and steaming hot cups of Glühwein, the local version of mulled wine.